River Cottage, UK. A Yummy Scone Recipe. | Sconquest. My apologies for not including recipes before now. I have endeavoured to find the copyright and get permission for the Commonsense Cookery Scones and the popular Wizz in the Kitchen food processor scones but to no avail, my e-mails remain unanswered. 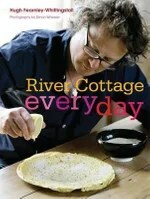 Recently, I discovered the ABC River Cottage’s Everyday Series, I was so impressed I promptly bought the book. The Bread section is excellent and the concept of having a bread circle is so positive and embraces Sconquest’s philosophy of sharing life’s simple pleasures with others. Recently, I visited my family armed with the Cookbook and the DVD which we enjoyed of an evening while we digested and pondered the next day’s possiblities. 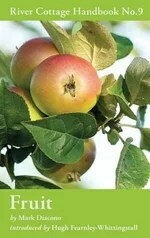 I found the Bread and the Preserves Book too which make wonderful gifts for people who like to cook. Guess what they’re getting for their birthdays? In Australia, they’re available at a reasonable price from Booktopia, Borders or there’s always Amazon. So here’s the scone recipe from River Cottage’s Community Website which looks inviting with vanilla and double cream! YUM! There’s the option of using a food processor to rub the butter and flour etc. together. 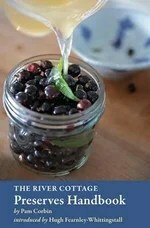 Thanks to River Cottage for their generosity in including a video from their Summer’s Here program, the recipe is not in my Everyday cookbook but may be in others. Don’t forget some scrumptious homemade jam! Mmmm..with Vanilla Tea! Preheat the oven to 200C/gas 6 and lightly grease a baking sheet. Sift the flour, baking powder and salt into a large bowl. Add the butter and rub in with your fingers until the mix resembles fine breadcrumbs. Alternatively, do this in a food processor before transferring the mixture to a bowl. Either way, then stir in the sugar. Beat the egg and cream together, with the vanilla extract too, if you’re using it. Pour into the flour mixture and bring together lightly with your hands into a dough. Turn out on to a lightly floured surface and knead very briefly to form a fairly smooth ball. Pat or gently roll the dough out to a thickness of about 4cm. Use a 6-7cm diameter cutter to stamp out scones from the dough. Put them on the prepared baking sheet, brush the tops with a little milk, and bake for about 15 minutes until risen and golden. Transfer to a wire rack to cool for a few minutes, then serve slightly warm. Scones do not keep well so eat them up quickly! 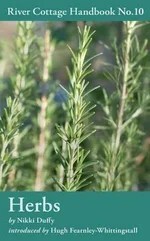 During my recipe quest Taste.com were very helpful and suggested using their basic scone recipe for a food processor too. Here’s the basic recipe and a video too. Thanks. 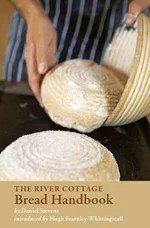 How about an online Scone Circle or join River Cottage’s Community? 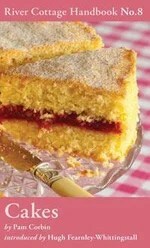 Let me know if you liked the recipe and any variations you might have tried. I’m thinking Lavender Scones. Any takers? This entry was posted in Books, Recipes, Scones and tagged abc shop, booktopia, borders, Commonsense cookery book, food processor, River Cottage, video, wizz in the kitchen. Bookmark the permalink.